The Presurfer: Why Does a Dog Lick Its Nose? 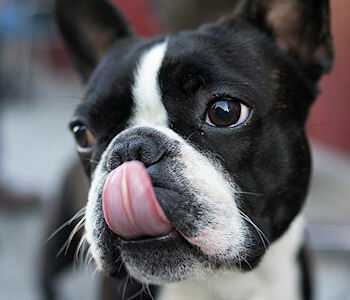 When dogs are in their training stage a question that comes up a great deal is why do dogs lick their noses? While it is tempting to simply go with the old chestnut of an answer - because they can - there are a number of reasons why a dog might lick its own nose. One thing is for certain sure, however: while they are doing it they often bring a smile to the faces of their human companions.